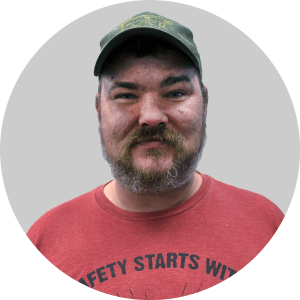 Employee Spotlight: Jason Hagemeyer and Brian Clemm - ARC Abrasives, Inc.
Meet Jason Hagemeyer. Jason has advanced in his 14 year career at ARC from helping with the laser and working in flap discs to Head Slitter in the belt department. Most of his experience lies in the belt department with pressing, cutting, packing, and slitting. Jason is grateful for leadership’s support in his ability to creatively perform duties and work at his own pace. He also enjoys the family atmosphere and the company of Chester. Please stop by the Belt department to say hi to Jason and thank him for his years of support to ARC Abrasives! Meet Brian Clemm. Brian has been with ARC for about a year and a half. He has showcased his various skills as a forklift driver, receiving shipments from trucks, producing belts, and now hubbing flap discs. 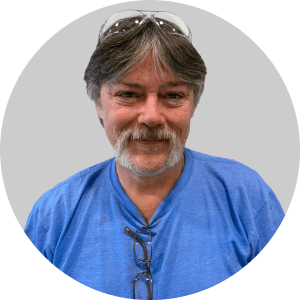 Brian enjoys the laid back atmosphere at ARC and appreciates that current employees are very friendly and welcome new employees graciously. He is also inspired by how well leadership performs their jobs. Please stop by the Flap Disc department to say hi to Brian and thank him for his years of support to ARC Abrasives!